Briana and Pete were such a joy to work with and assist with planning their dream day! Briana has a smile that is contagious and her bubbly spirit was always a pleasure during our meetings! I loved their vision and beautiful details. Briana and Pete planned their wedding at the stunning Barn of Chapel Hill in Chapel Hill, NC where they exchanged vows in front of a striking pergola that was draped with blush and ivory florals and greenery. One of the elements I love about planning at The Barn of Chapel Hill would include their onsite florist with Wild Flora Farm. Jen has such an eye for detail and executes the design and florals perfectly! 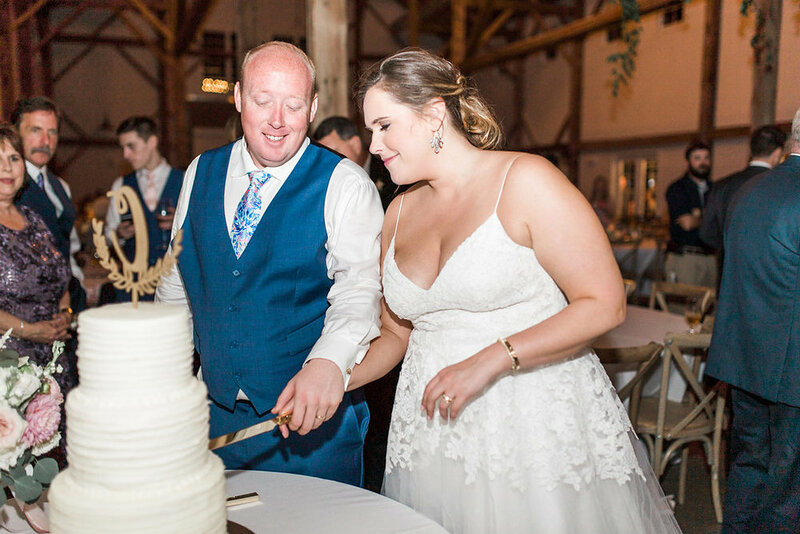 Briana and Pete followed their ceremony with the Southern Tradition/Folklore of digging up the bourbon they had buried a month prior to their wedding to “keep the rain away.” Amazingly, their wedding day was a perfect spring day without any April Showers! The day was absolutely gorgeous and it was so much fun getting to watch the bride and groom along with their wedding party take a celebratory drink from the monogram bourbon bottle. The entire design of the wedding was nothing short of stunning. The reception in The Barn was no exception! Briana and Pete used four Cottage Luxe farm tables to accommodate their 30 person head table while greenery wrapped and hung from the chandeliers. These were truly eye catching. After the family style dinner served by Cook Shack Catering the dance party started! Briana and Pete along with their friends and family stayed on the dance floor and had a blast! The end of the night concluded with a sparkler exit out of the barn doors surrounded by their families and friends. It was such a pleasure getting to know Briana and Pete during their planning process. They had the sweetest family and loving friends that truly supported their relationship. I wish Mr. and Mrs. Pete Codd all of the happiness in the world as they continue their journey as husband and wife. Thank you Briana and Pete! 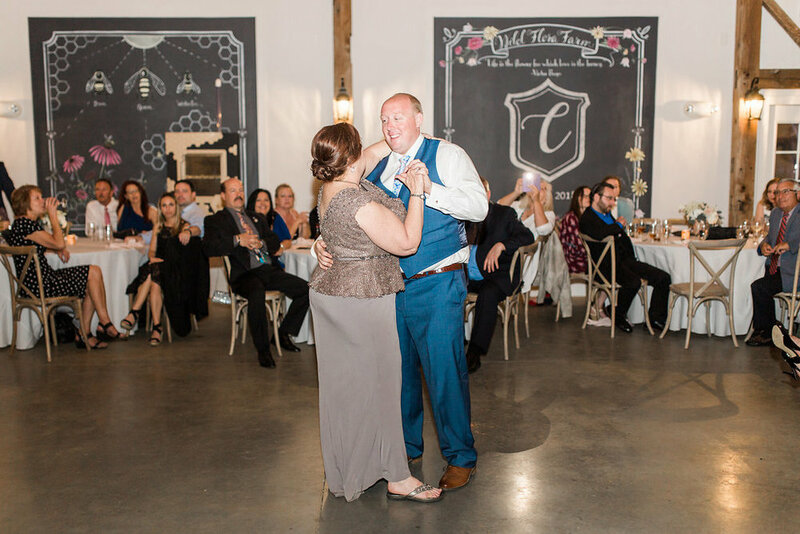 Enjoy these beautiful photos by the talented Annie from Annie Timmons Photography.